The Democrat Doug Jones’ win in the special election in Alabama will give the GOP an even narrower majority in the US Senate. Jones will not join the Senate for a few weeks, however. The Republican Party is likely to compromise on many issues so it can pass its final tax bill before then. The Democrat Doug Jones’ upset victory in the Alabama special election on Tuesday doesn’t look likely to stop the GOP from scoring its first major legislative win of Donald Trump’s presidency. Jones’ winning a US Senate seat has sent shockwaves through Capitol Hill. But it is likely to do little to prevent the GOP from passing its massive bill to overhaul the US tax code. That legislation is in a conference committee to reconcile differences in the House and Senate versions that those chambers passed. Republicans still hold a majority in the Senate and have a few weeks to fit in the votes on the final version of the bill, called the Tax Cuts and Jobs Act, before Jones is sworn in, most likely next month. Sen. John Thune, the No. 3 Republican in the Senate, said that final votes on the tax bill were unlikely to be delayed because of the Alabama election result. The Republican conferees on the conference committee have been working to bridge intraparty divides on issues like the state and local tax deduction and the size of the corporate tax cut – but a few Republicans have still expressed concerns about possible changes to the bill. Addressing those concerns quickly will be the key to getting the final bill through Congress. That bill could come as soon as Wednesday, when the conference committee holds its first public meeting. The GOP holds a 52-48 advantage in the Senate for a few more weeks. The Alabama election result will be certified between December 27 and January 3, according to the Office of the Secretary of State of Alabama. Democrats are likely to raise a ruckus about waiting for Jones to be seated before a final vote on the bill, but there is nothing much the party can do in legislative channels to slow the bill’s progress – whether it passes will come down to how many Republicans defect on the final vote. The delay gives Republican leaders a bit of a cushion, but not much. The GOP’s loss in Alabama is likely to light a fire under it to compromise on various parts of the bill, said Greg Valliere, the chief strategist at Horizon Investments. 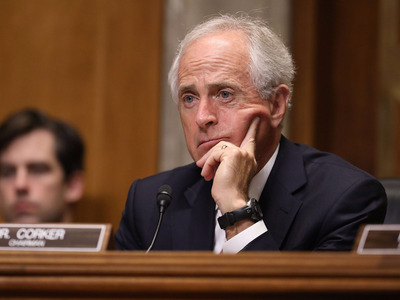 Corker, of Tennessee, voted against the first version of the Senate tax bill, citing the amount it is projected to add to the federal budget deficit. Collins, of Maine, has raised concerns about the bill’s proposed changes to the healthcare system. The GOP’s letting the tax push slip into the new year could imperil the bill. But if Congress votes on it in the next two weeks, Senate Republicans could afford to lose both Corker and Collins, since Vice President Mike Pence could break a tie. Given the pressure, the conferees are expected to roll out the final bill by Friday at the latest, with votes to send it to Trump’s desk likely to come in the two chambers early next week. “There are still potential snags, but the most likely scenario is that Trump signs the measure by the middle of next week – not a moment too soon, as the climate is about to worsen for the GOP in Congress,” Valliere said.